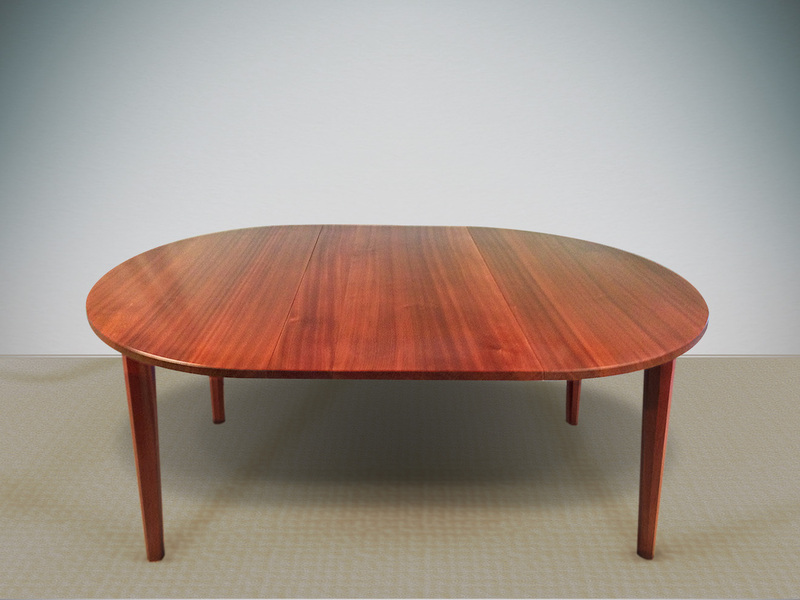 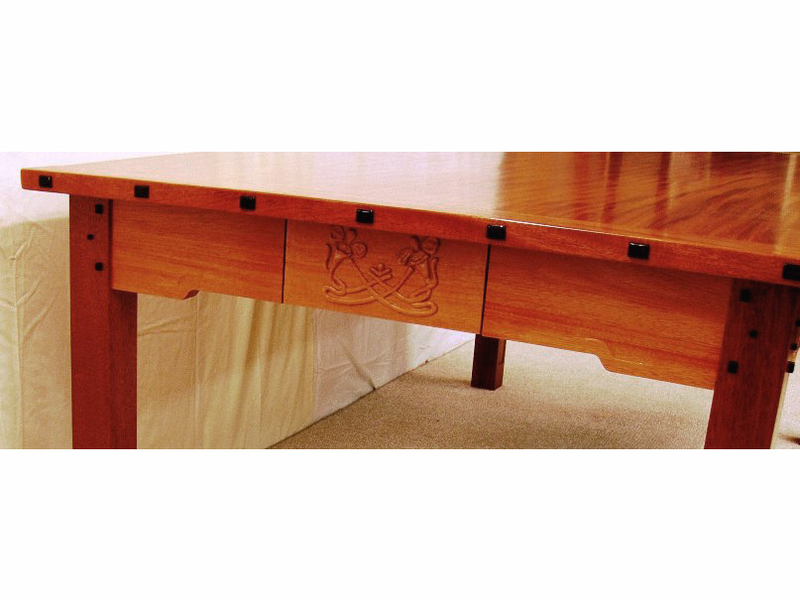 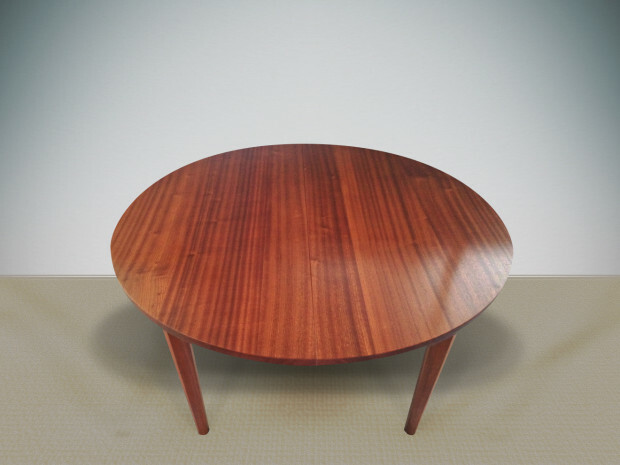 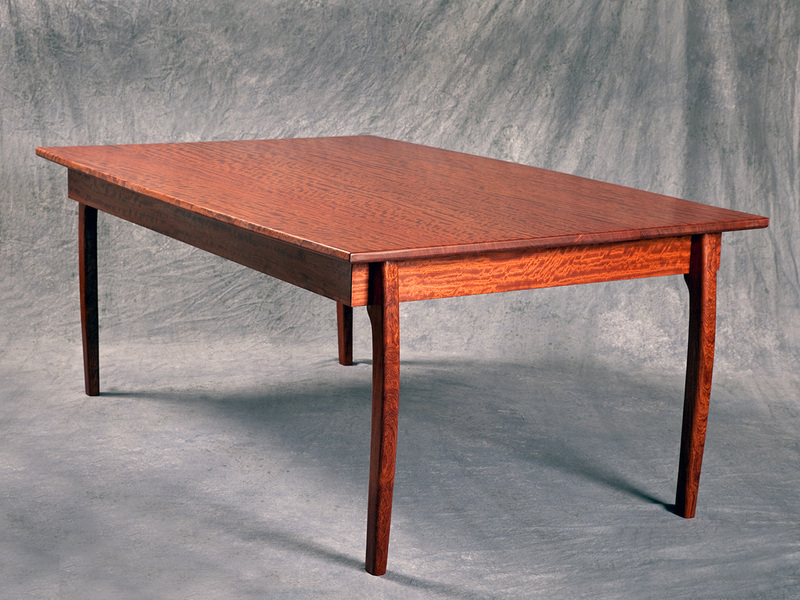 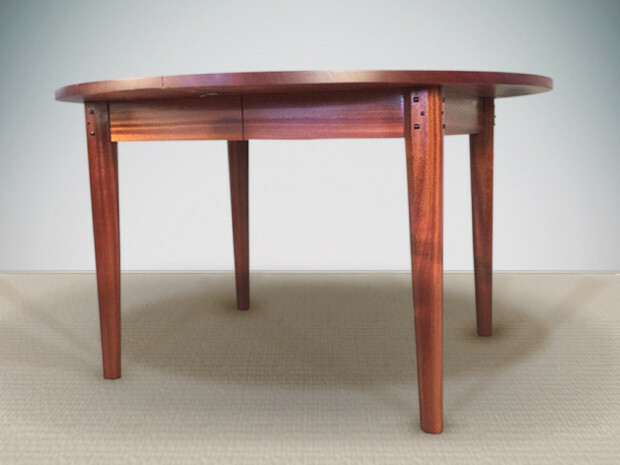 Solid Bubinga dining table with tapered top, hand sculpted legs and a varnish finish. 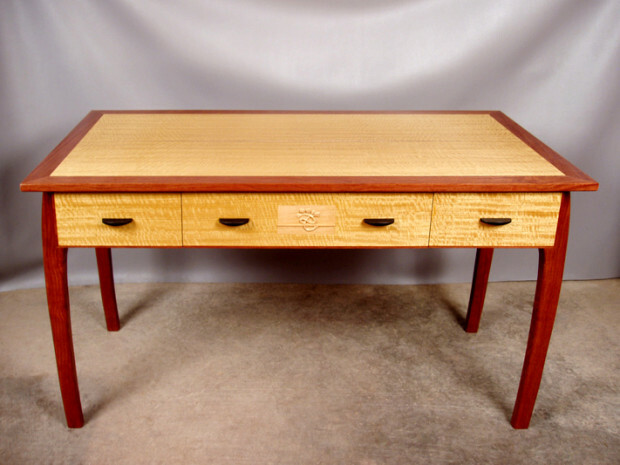 Double book matched African Satinwood veneer top with mitered Bubinga frame. 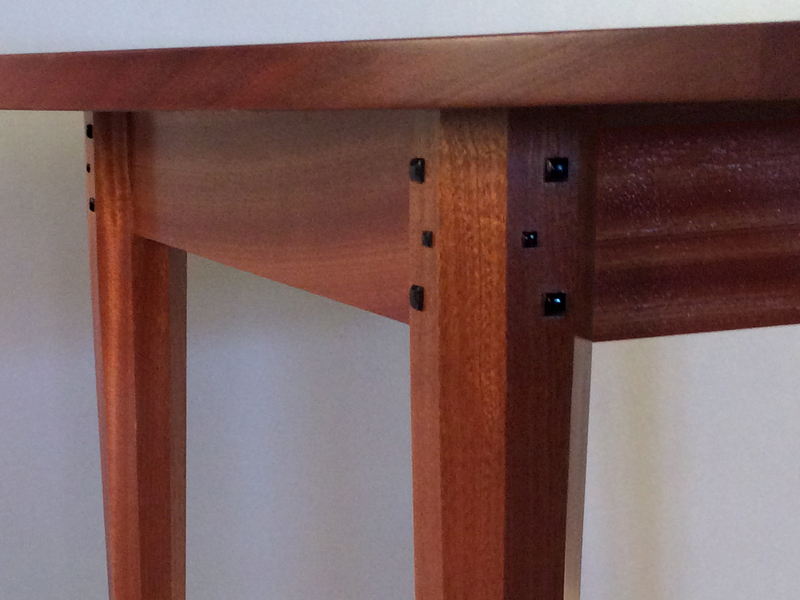 Sculpted Bubinga legs and inlay. 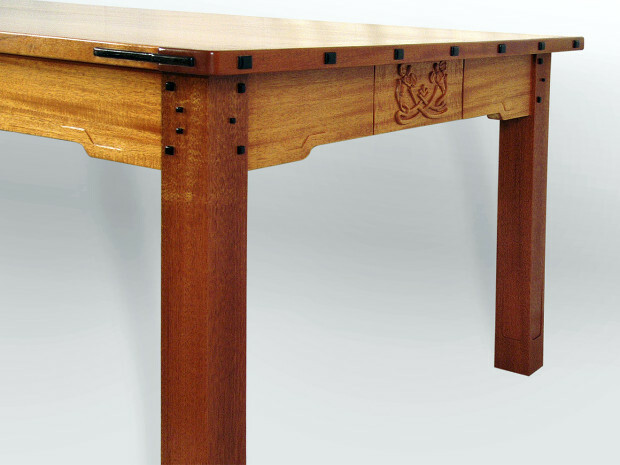 Hand carved Lime wood “Mucha Detail” inlay. 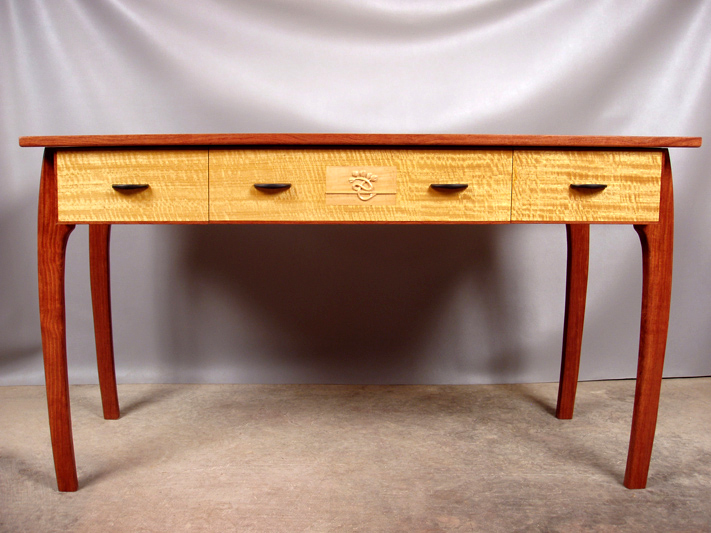 3 drawers with birds-eye Maple interiors, soft close slides. Lacquer finish. A singular detail from an Alphonse Mucha drawing. Solid genuine Mahogany with Ebony pegs and keys. Hand-carved Arts and Crafts tree on long rails. 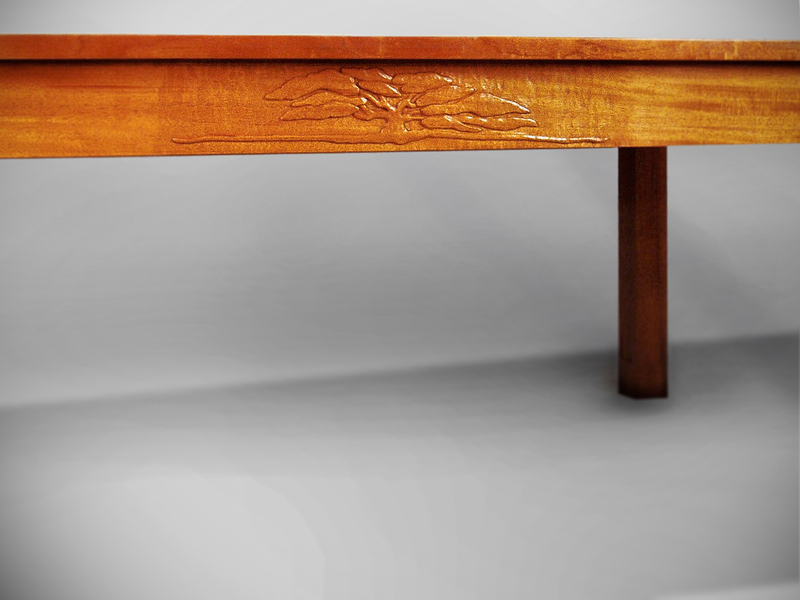 Hand carved Zinnias on drawer fronts. 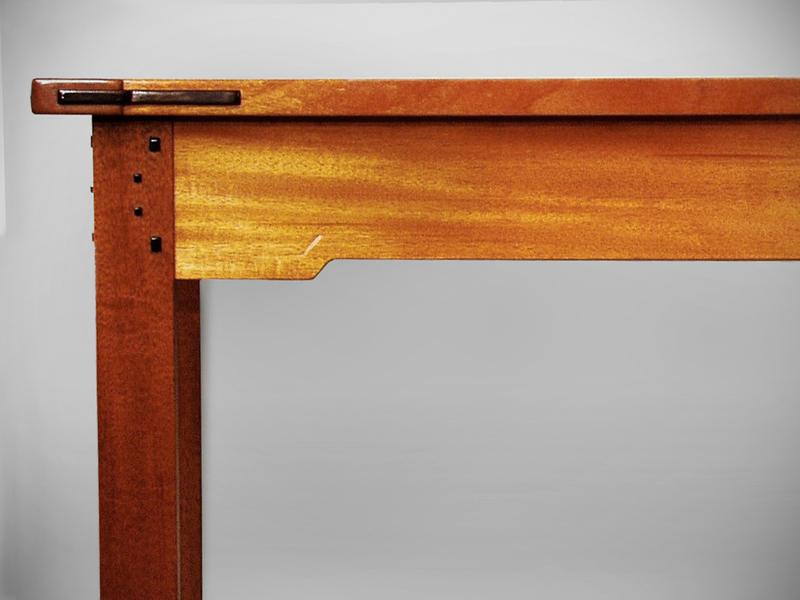 Haunched mortise and tenon construction with hand rubbed varnish finish. 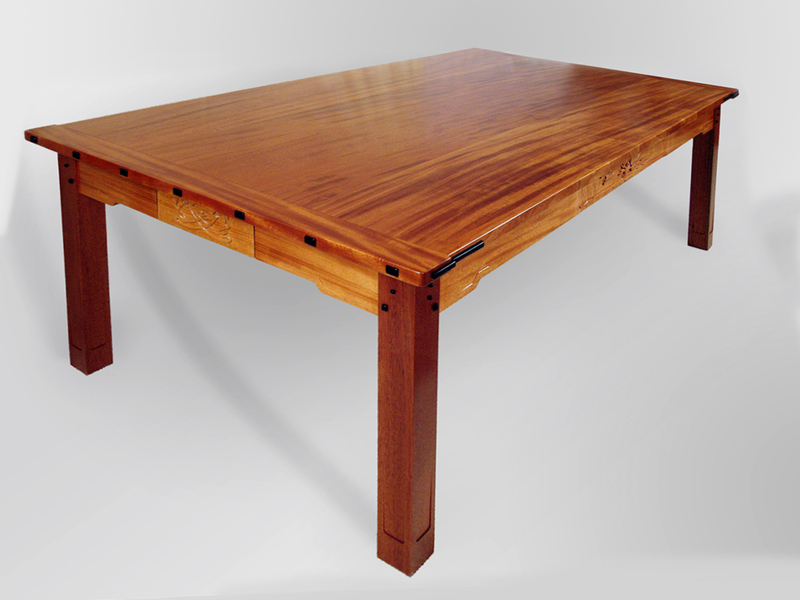 Ribbon-stripe Sapele, Ebony pegs, mortise and tenon construction, hand-planed tapered legs30”h × 48”dia., leaf is 24”w and includes apron.